Plans have recently been agreed between East Devon District Council and Grenadier to develop a new watersports centre on the Exmouth seafront with a scheduled opening date of July 2020. 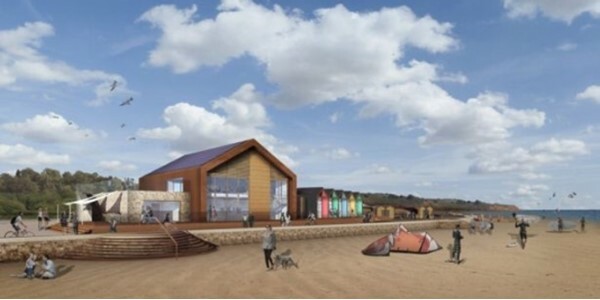 The proposed watersports centre will be built on the Exmouth seafront. The proposed not-for-profit scheme includes training and changing facilities alongside an outdoor events space and eateries, and is intended to enhance Exmouth’s waterfront, water sports heritage and leisure amenities. Offering immediate beach access, the venue is expected to provide high quality services throughout the year. Family run Edge Water Sports was the first key tenant announced for the project by Grenadier and will offer a range of activities for people of all ages and abilities including; Kitesurfing, Stand Up Paddle boarding (SUP), Kayaking and even Beach Fit classes. Run by World Champion kite surfer Steph Bridge and her family, Edge has been in the area for over 30 years and the new facility will see them relocate from their existing base in Exmouth Marina.